What if your site is switched to HTTPS but it is not entirely secure? If you switch your site over to HTTPS but not all parts of the site are secure, visitors to the site will still see a note informing them that the site is not secure. They may, and often will, also receive popups warning them of insecure content and asking if they want to continue - a sure way to turn the vast majority of visitors away. What parts of the site can potentially be non-secure? Once the switch is available, the main pages of the store will be secure. However, assets used inside the page also need to be secure. The product images - and indeed all images you upload into the editor will be taken care of. Other files linked from the "Files" area of the store editor will probably be secure, but that depends on how such files are linked into your site. If they use hard-coded non-secure (http:) links, then they will NOT be secure. Images used inside otherwise secure CSS and JS files may or may not be secure, again, depending on how those are referenced from within those files. Also, forms used anywhere in the site (search, newsletter signup, etc.) all need to point to secure locations otherwise they will be flagged as non-secure. A notable example is the built in store search. If you are using the legacy yahoo store search you will have to upgrade to the newer version. Finally, any third party scripts or tools your site might make use of, which are not secure, will have to be secured as well, but for those you'll most likely have to contact the vendor whose code it is. We will point those out to you if we find them in your store. How can you find out what parts of the site will pose a problem? You can start with third party tools such as customer reviews, customer account management systems, etc, by contacting the vendors those tools are from to make sure they can be upgraded to be secure. If you have the legacy Yahoo store search, upgrade it - or have it upgraded - to the new version. Don Cole of Your Store Wizards put together a testing tool that can alert you if your site is most likely to be ready or not for the switch. This tool is available here. But the most precise way to tell whether your site is ready to be secure or not is the yet-to-be-released HTTPS testing tool from Yahoo. This tool will temprorarily switch the store editor into secure mode so it will immediately show an expert what parts of the page or pages are not secure and, therefore, require attention. For your peace of mind, order our Secure Store Preparation Service now. We are processing these in the order in which they are received. I don't have a Customer Reviews system in my store. Does this "upgrade" adds one for me? No, the upgrade option is only for current users of our Customer Reviews add-on. Order it here if you don't have it yet. What does "upgrading the legacy store search" mean? Can I get something like Nextopia? I have http:// references inside the captions of my pages, do you take care of those too? No, unfortunately we cannot do that. Some stores have hundreds or thousands of pages and scanning and modifying the data in bulk is outside of the scope of our service. However, you only have to worry about references to non-secure files, such as images, or videos in your captions. If you simply reference other pages in hyperlinks, those don't necessarily need to be changed to HTTPS. I have multiple Yahoo! stores, does this service cover all of them? The service is per store. If you have multiple stores please order this service for each store individually. Since each store needs to be dealt with in its own right, unfortunately we are unable to provide any discount on multiple stores. What is the turn-around time, how quickly can you make my Yahoo! Store secure? We are preparing the stores in the order in which we receive these requests, but unfortunately we can't provide a firm ETA. As of mid-September (2017), we are looking at about a 7-10 day turn-around before we can get to a store that signs up now. Once again, Istvan has proved that he is "The Man" when it comes to quickly and accurately fixing problems with our Yahoo store. Don't believe me, just ask your Yahoo rep.
Istvan is extremely helpful and knowledgeable! Our issues and concerns are taken care of very quickly. Thanks so much! Everything was taken care of to transition to HTTPS. Would recommend for Yahoo/Aabaco store tweaks. Fast and thorough HTTPS conversion just like the many other services we have opted with YTimes. Always responsive to our needs and finding the right solutions in this dynamic environment. YTimes is the first place I turn to when I need any development work for my online store. 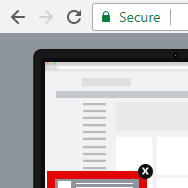 They completed the HTTPS upgrade in rapid fashion and it works great, thanks you! Y-Times switched our website (www.AlcoholControls.com) to HTTPS. They did it quickly and without any errors. Our website is now secure which was important to us since Google now flags sites in Chrome that cannot be accessed via HTTPS. Y-Times has been very instrumental at helping to optimize our website's presence and effectiveness on the internet.